Determinants of obesity in Turkey: appetite or disease? This study examines the factors affecting obesity prevalence among adult individuals in Turkey using data obtained from the National Health Survey of the Turkish Statistical Institute (TSI). Nowadays obesity is one of the world’s major health problems. Although the proportion of young people remains very high in Turkey, the prevalence of obesity is increasing daily. In this study, we used the National Health Survey data collected by the TSI in 2012. The research was carried out on 14,400 households in 12 regions of Turkey. The study covered socio-demographic characteristics of families and household heads, but included only observations made by household heads. We tested a bivariate probit model with sample selection, which was compatible with the data-generating process to exclude the inherent selection problem. We then applied a simple binary probit model to assess the likelihood of being obese among those who reported their body measures (height and weight). 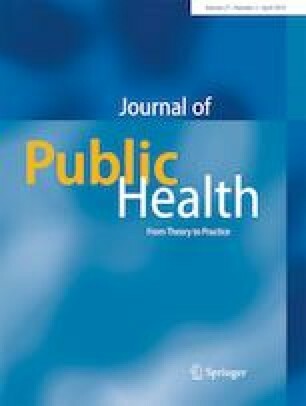 The results indicated that living in a city, getting married, being female, being middle-aged, being depressed and having lower education levels increased the probability of obesity prevalence among Turkish subjects, while less obesity prevalence was associated with being male, being well educated, being a regular walker, being a smoker and living in a rural area. When combating obesity in Turkey, social risk groups that are more likely to be obese should be identified and awareness training should be carried out for each group with suitable objectives and programs. The aim of such programs should be to encourage adequate and balanced nutrition and regular physical activity and to teach individuals about the adverse effects of obesity on health (cardiovascular disease, diabetes, some types of cancer, hypertension, etc.). This study was not covered by any grants.